Il Diavolo is a cross of low ryder genetics which aims to offer the same strength and taste as Critical Mass in a plant that is totally independent of the photoperiod. 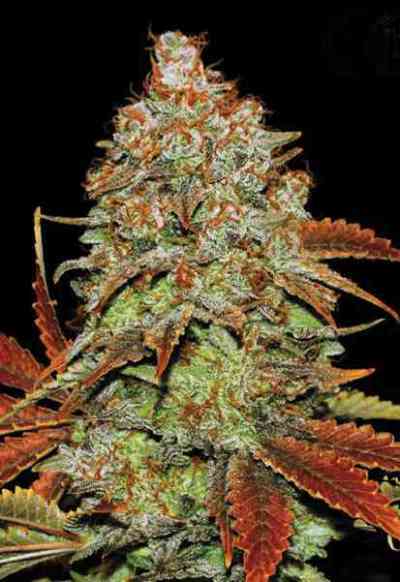 To develop this strain Delicious Seeds hasn’t chosen just any old hybrid. 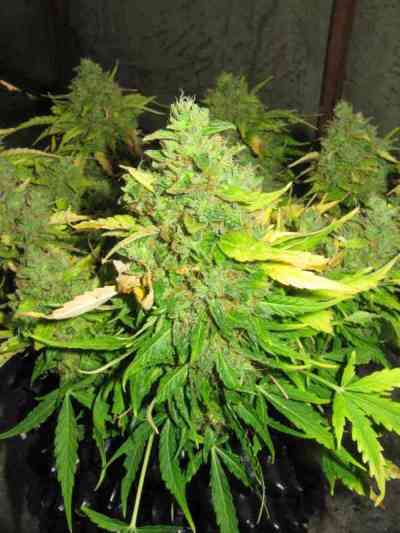 It’s one of the most famous selections from northern Spain called Critical Bilbo which is a high yielding hybrid with a strong aroma and a fruity taste. It’s a very fast, easy to grow and medium-sized first generation cross, making it ideal for small spaces and beginners. We advise germinating it in the definitive pot owing to its rapid flowering cycle. In northern climes it’s a very attractive option for a summer crop while in Mediterranean climes two or three harvests a season are very common. It has a fruity, sweet smell with a hint of acidic fruit and floral notes. Its taste is also very fruity and citrussy. The effect is immediate and very long-lasting with a very low tolerance. The effect is physical without being excessively narcotic. It causes slight mental stimulation, making it very suitable for any type of activity. These qualities, as well as its high CBD content, make this very suitable for medicinal usage.